A friend who teaches preschool shared with me her method for correcting misbehaving children. Every morning, before the school day begins, she hugs them. Over time, because they feel loved, their behavior improves. Those children remind me of myself. After almost fourteen years of marriage, my husband has learned that when I’m acting the grumpiest, my real issue is that I’m somehow doubting his love. On the outside, I’m acting like a bear, but my heart is crying, “Does he still love me?” When my husband puts off his instinct to pull away and, instead, wraps me in a warm hug, arguments are diffused. 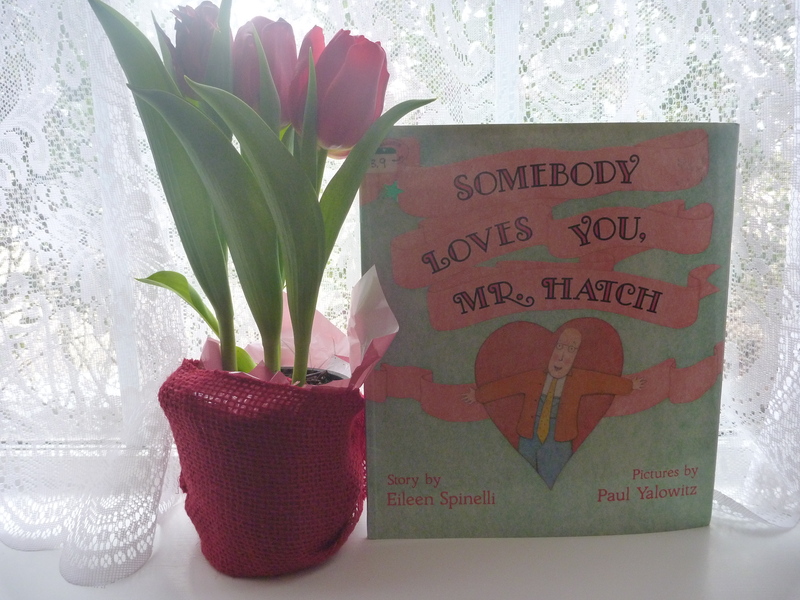 And so it is with Mr. Hatch, the protagonist in Eileen Spinelli’s picture book, Somebody Loves You, Mr. Hatch: He acts unlovable because he feels unloved. Then . . . a big box of Valentine candy arrives with a note, “Somebody loves you!” He is like a high school boy again. “Who? Who could it be?” he wonders as he walks down the road (in his best attire) with a lilt in his step. This book illustrates the transforming power of love. Because he feels loved, Mr. Hatch begins reaching out to others: sharing his Valentine chocolates, easing others’ worries, helping however he can, entertaining in his backyard, playing his harmonica, baking brownies for the neighborhood children! And because he loves others, they love Mr. Hatch. By the time the postman explains to a disappointed Mr. Hatch that the Valentine was delivered to him by mistake, the love has already worked its magic. The note on the Valentine has come true a hundred fold. The whole neighborhood loves Mr. Hatch, and they tell him so with a surprise gathering in front of his house, complete with chocolates and a new harmonica. What a perfect book for Valentine’s Day! To read it is to be touched by truth and inspired to action. 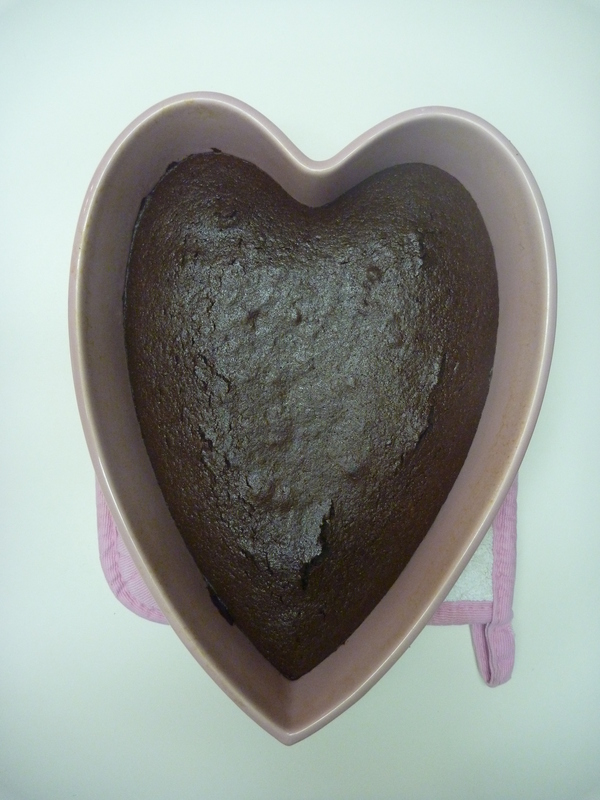 Who needs a hug today, a brownie, or even an anonymous Valentine that reads, “Somebody loves you”? This entry was posted in Treasured Books and tagged children's book for Valentine's Day, inspiration, love, Somebody Loves You Mr. Hatch, Valentine's Day. Bookmark the permalink. Dear Carol, I did love the bear hug technic, LOL. It is so nice to know Mr. Hatch. By the way, loves is in the air. Happy Valentine’s day!